Rikki Battistini, a former bike building legend, has a newly found passion for goods Made in America. 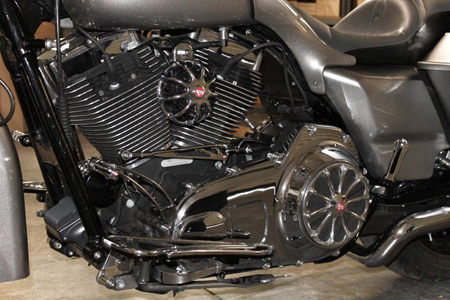 Battistini, CEO of Battistini Custom Cycles, manufactures his product line, a line of extraordinary after-market accessories for Harley Davidson motorcycles, in Orange County California. Battistini chose Wanderlust+Industries to produce his video content because he wanted to connect with his customers on a personal level. Wanderlust+Industries specializes in using digital media for storytelling. 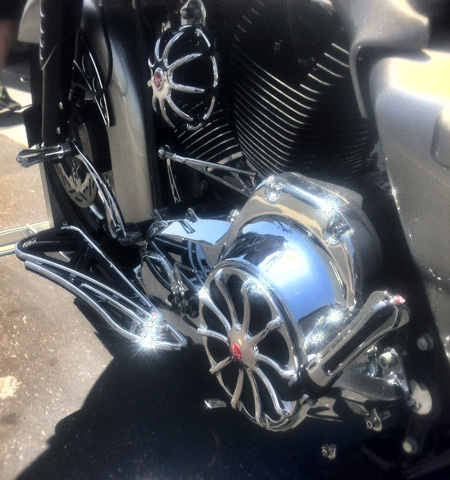 Add Wireframe Horn Cover Chrome With Black Insert to your wish list.